Last month, I had the pleasure of spending three nights in Paris. Three leisurely, indulgent, and inspiring nights lounging around in the city of light. 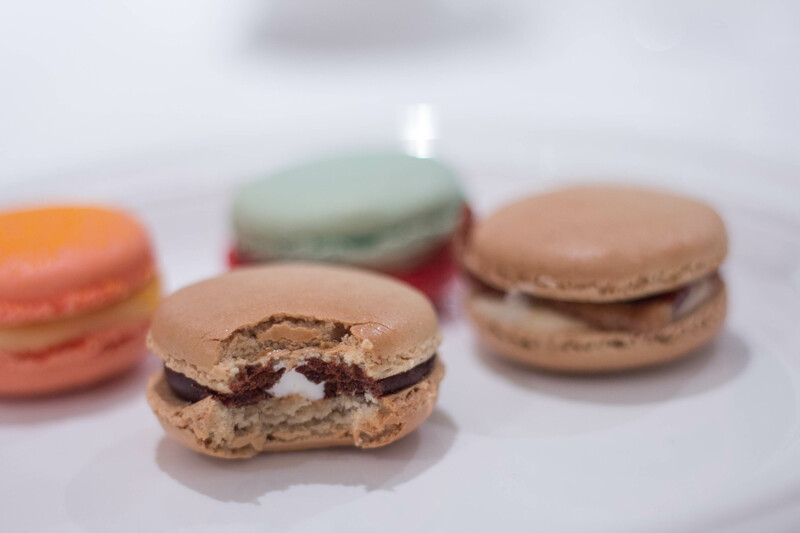 Three nights of gorgeous views, evening strolls on the Seine, and most importantly – three glorious nights of access to authentic French macarons. The almond flour-based meringue cookies are all the rage stateside these days and I’ve tried them from an array of artisanal American vendors, but for me, the opportunity to enjoy them in their natural habitat was an enjoyable and educational treat. When I say that we sampled dozens of macarons over the course of three days, I want you to know that there is no exaggeration in that statement. I will prove this by letting you know that the shop supporting our habit had a minimum purchase requirement of 10 at a time. We visited no less than once a day. Because we kept running out. We practically had the shakes from macaron withdrawal upon our return home, so by the time we were directed to the Macaron Parlour in St. Marks Place in NYC’s East Village, we were practically breaking down the door to get a fix. Oh yeah, you read that correctly. That is a Cheetos macaron. I wasn’t kidding about that American part – can you imagine a French patisserie creating such a thing?! But I so admire the Macaron Parlour’s bravado. They show some serious guts in the fillings of their treats. And I, for one, could not stop eating the confounding combination of cheesy, salty, and sweet in the strangely delicious Cheetos version. As for the S’mores, Apple Cider Caramel, and Candied Bacon – all tasted as deliciously avant garde as they sound. And it wasn’t just the macarons, the whole place was sweet! Crazy cool exposed brick and ceiling beams – really one of those NY spaces that reminds you of just how cozy, chic, and inviting the tiny city storefronts can be when properly nurtured. The owners were incredibly gracious and friendly; they were genuinely interested in our enjoyment as we sat at one of the small tables and chowed down. And a huge bonus for me on a freezing February day was a hot cup of Blue Bottle Coffee, straight from their pour over system. I freakin’ loved this place – I hope you can check them out! 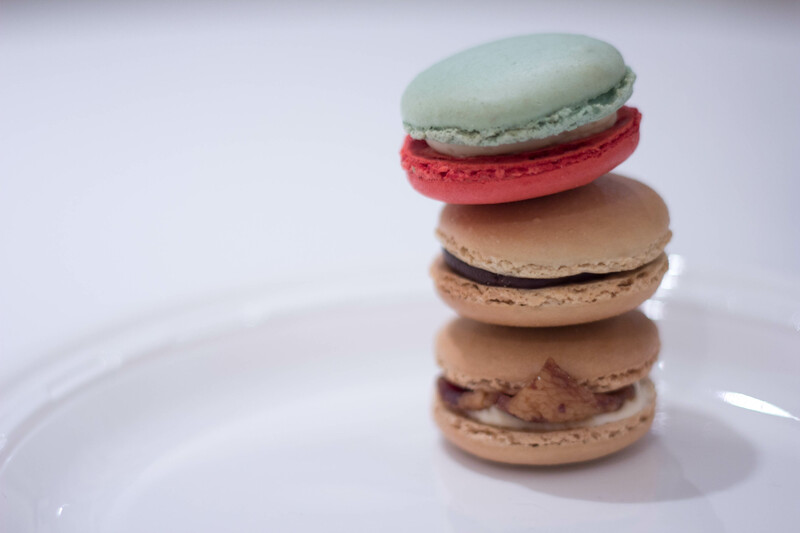 Find them in the East Village – Macaron Parlour at 111 St. Marks Place, NYC http://www.macaronparlour.com If you’re not in the NYC area – they ship! !